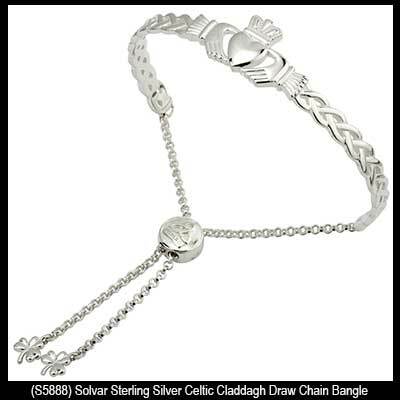 Sterling silver Claddagh bracelet features filigree Celtic knot-work along with a draw chain cinch that is enhance with shamrock tassels. 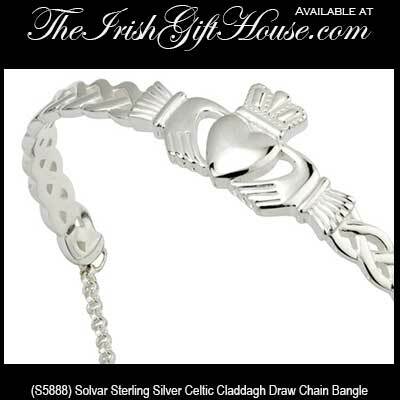 This sterling silver Claddagh bracelet features Celtic knots that extend from the wrists and a draw chain with shamrock tassels at the ends. The Claddagh symbol measures 1/2" tall from the top of the crown to the bottom of the heart while the Celtic knot braid measures 3/16" tall. This Claddagh cinch bracelet has a 1 3/4" wide opening may be gently manipulated larger or smaller depending on your wrist size. 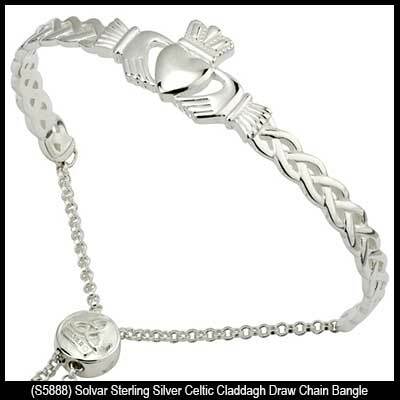 The draw chain Claddagh bracelet also features an embossed cinch with a Trinity knot. 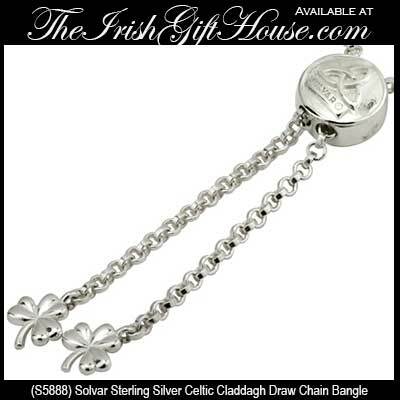 This Fáilte Collection bracelet is made in Ireland by Solvar Jewelry and it is gift boxed with the Claddagh legend along with shamrock and Celtic knot history cards, complements of The Irish Gift House.